Despite the large sums invested in developing them, nobody seems to want modern Western fighters. By modern, I mean operationally active, in production and with a first flight after 1990. This definition would include the Typhoon, Rafale, Gripen and the Super Hornet (the newer variants of the F-15 and F-16s are either virtually aerodynamically identical to their 1970s forebears or, in the case of Silent Eagle, uncompleted). The Lockheed Martin F-22 is no longer in production, and when it was, export was banned. Though more export orders have been announced, the numbers above reflect what has actually happened so far (I’ve used best available information, I’m happy to adjust numbers if any readers have better,verifiable, data). Compare these figures with earlier aircraft: F-16 (well over 2000 exported), F/A-18 Hornet (391, not including secondhand aircraft) and Mirage 2000 (293). Even the Panavia Tornado, an aircraft that was difficult to sell, managed to notch up a total of 120. This is not even taking into account F-15s which have been sold by the hundreds. There is of course another dimension to this, and it should be noted that the F-15 and F-16 ‘exports’ have been propped up and organised under the Foreign Military Sales programme. The aggressive, politically-supported F-35 sales drive is comparable to FMS. The modern generation of Western fighters are all very capable, but seem to be a victim of bad timing, arriving while fourth generation fighters were still relevant, through to today where many air forces are holding out for the F-35. Modern F-16 variants, exemplified by the Block 50+ and 60, combine a proven airframe and global logistics network, with modern avionics and weapons. Late Block F-16s offer what is seen as a relatively low-cost and low-risk option. As well as lower risk rivals being readily available, Generation 4.5 have spent most of their lives in times when militaries are facing reduced budgets. 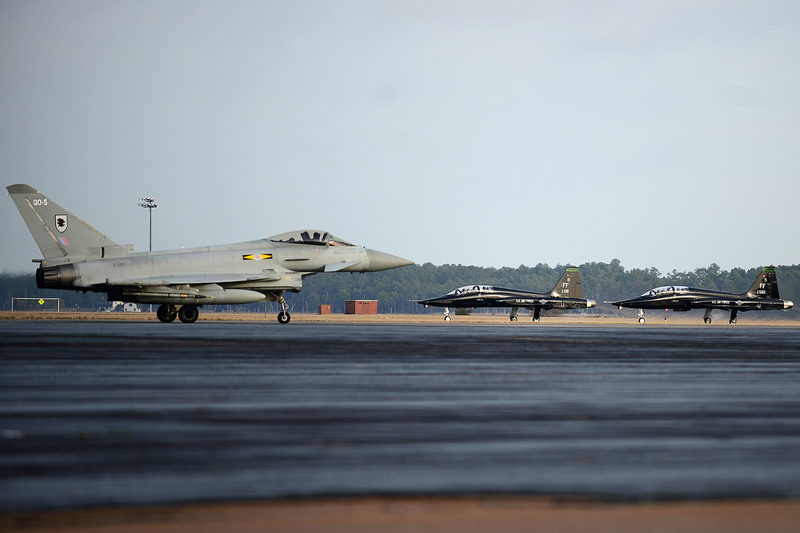 Some air forces wish to cling onto their existing fighter types, knowing that each fighter procurement is smaller than the last and will involve shedding manpower and force size. The use of ‘Generation X or Y’ terms are not always useful and tend, like I have here, to be manipulated to show an opinion. Unlike the 5th Generation F-22 and F-35, all of the West’s Generation 4.5 fighters have seen war, even the Gripen (which was used for reconnaissance missions over Libya) and they are all capable of performing both the fighter and bomber mission. Despite tiny export figures, they are sought after, if not by those who make procurement choices, then certainly by many in air forces around the world. The current generation of fighters is important for several reasons. It is the only insurance the West has if the F-35 fails. Accepting the now commonly-used generation terminology, the F-35 will be the only 5th Generation Western fighter available. This is a unique situation, as since 1914 air forces have always had options, now if they wish to buy into the idea of ‘5th Generation’ and keep their allegiances with the West, they have no choice. The success of the current generation of fighters will be in its abilities to thrive in the F-35’s shadow, to supply to nations unable to order F-35s as they are too poor, politically black-listed or needing aircraft sooner. More significantly, they need nations to reject the dogma of stealth. Generation 4.5’s biggest strength is that it’s ready now, with each delay to the F-35, another sales possibility opens up. 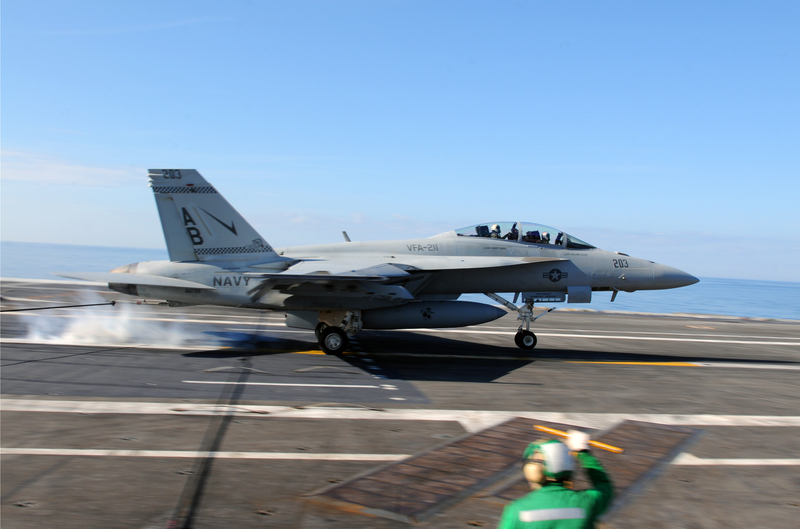 Many believe that further delays may see stop-gap procurements (like Australia’s Super Hornets) staying longer and being ordered in bigger numbers than first anticipated. 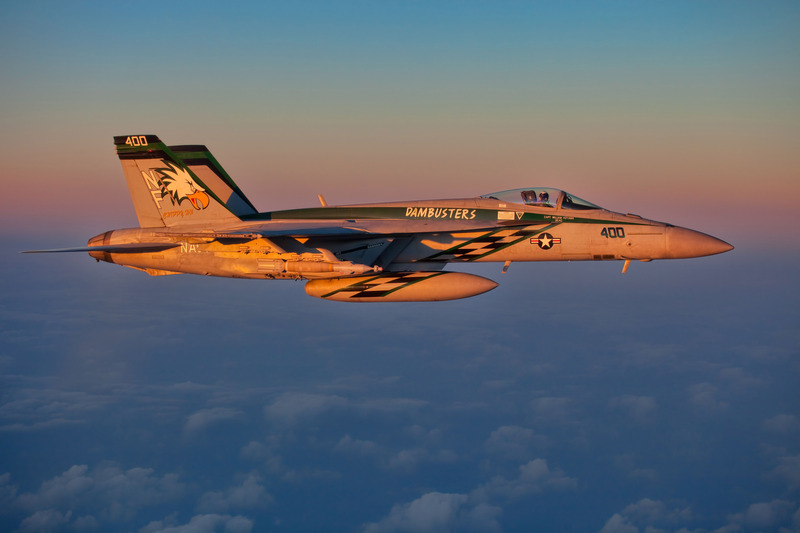 Canada is also a nation, that given the political flexibility, would seem a natural customer to jump ship and order Super Hornet to replace its existing Hornets. The modern generation’s existence does have ripple effects; nations without a 4.5 Generation fighter (as pointed out by Combat Aircraft’s Thomas Newdick), such as Israel, Japan and Norway are among the most committed to F-35. Though the sale of second-hand aircraft does not increase the total of the type produced, it can hinder the sales of new-built rival aircraft. European air forces have more Typhoons than they can afford to operate and are offering them at attractive prices, it will be interesting what happens regarding this, especially as the F-16 production line is expected to close in the next few years. What was Italy’s ultimate fighter? This is particularly interesting when put in context with the editor’s comment. Europe does not need Lockheed’s example of how to run an international project; they have Airbus for that example. Airbus is international in construction, but France calls the shots and it largely works. It is well to remember that British Aerospace was once a member of the Airbus consortium but sold their shares in it several years ago. As I’ve read in many sources, they primary reason for them pulling out was that they kept being overridden by France in decisions regarding the aircraft developments. I believe the problem to be a cultural one. Europe has a lot more history than America does and a lot of the history runs deep between nations. Eurosceptics point to this a lot when they make examples of multinational projects inside Europe not working successfully. There are a lot of people who will tell you that ideas of a unified Europe are nothing but a veneer. The Panavia Tornado had its origins in the Anglo-French Variable Geometry fighter project, a dead end that many in the British aerospace industry considered a case on industrial espionage on France’s part to obtain British technology. The Tornado itself had a quite convoluted development. Initially, five nations were in on the program though Spain and the Netherlands pulled out fairly early on. Germany almost pulled out of the program when they weren’t going to get the single seat fighter they were after out of the Tornado. Very early on, Germany was a partner nation in the development of the Harrier, though they pulled out to pursue their own VTOL projects. The Gripen was the first of them into service by a notable margin. It should not be a surprise to see it exported on a limited basis. 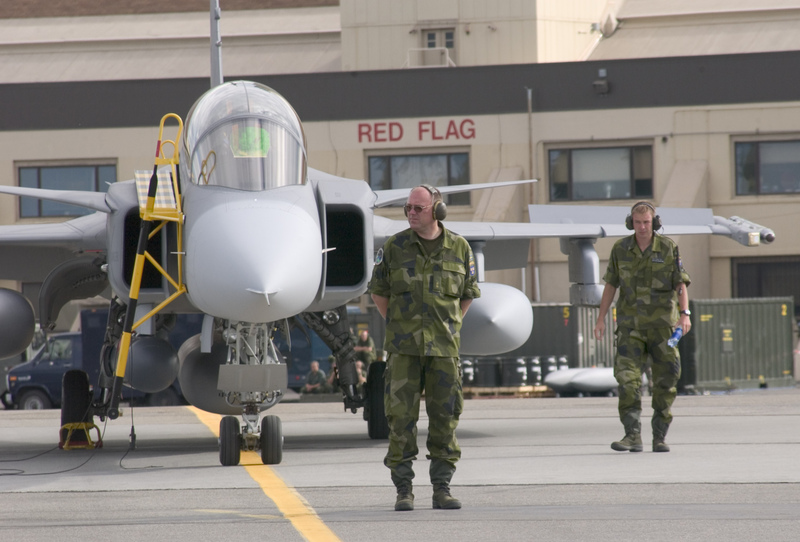 SAAB fighters do not have a history of wide exportation. This is quite often because Sweden, as a neutral nation, tends to be a bit picky about who they let have access to their fighters. The Eurofighter Typhoon had a very long development period and this has resulted in a very expensive aircraft that not everyone is going to put the money out for in today’s economic climate. The F-22, similar to the Typhoon was overdue into service and over budget to the point that even America had to scale back its procurement of the type. The various technical problems and groundings the type has experienced since it entered service would likely make it a very hard sell even if it was made available for export. The Dassault Rafale has proved sales proof, by many sources, largely because there’s a ton of strings and red tape associated with buying and maintaining them. It’s a fine aircraft with a mountain of bureaucracy between it and any potential users.